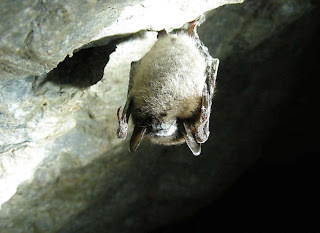 For those of you who live in the Bloomington, Indiana area... the Herald-Times just had a story on White Nose Syndrome in their Sunday Outdoors section for which I was interviewed. The article's title is "Deadly disease could infect state’s bats as early as this winter". but... you need a logon to access it. Once I get a copy of the paper, I'll see about scanning and posting it here.